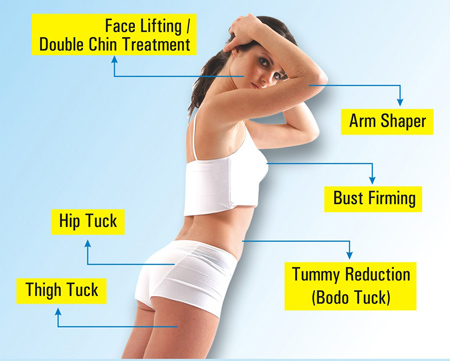 Basically tuck removes excess fat and skin from problematic areas like tummy, hips, thighs etc, and in most cases restores weakened or separated muscles creating an abdominal profile that is smoother and firmer. Prior tuck is a highly individualized procedure and you should do it for yourself, not to fulfill someone else's desires or to try to fit any sort of ideal image. Health ! Fitness ! Beauty ! Weight Loss ! Anti-Ageing !